A holocron was a crystal lattice (often cubical and sized to be held in one hand) in which the Jedi, as well as the Sith, of old stored phenomenal quantities of data, as well as the holocron’s gatekeeper. The Sith also had their own form of holocron technology, and they seem to predate the Jedi in using the technology by three thousand years. 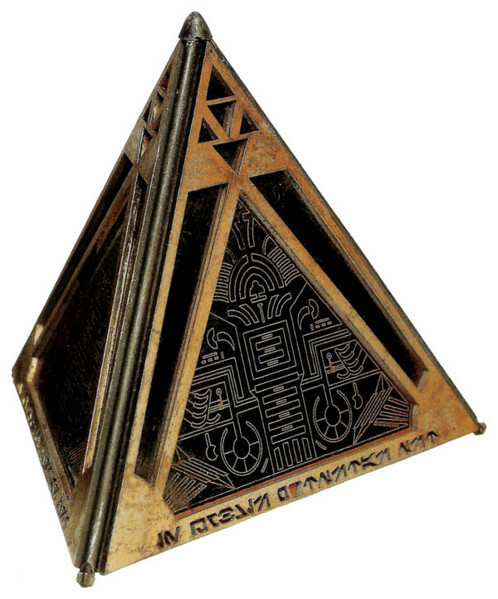 Sith holocrons usually took the form of a pyramid, and the existence of the first Sith holocron predates that of a Jedi holocron by at least three thousand years. The technology to create the pyramidal holocrons common to the Sith was something gifted to the ancient Sith king Adas by Rakata warriors trying to gain his trust. He accepted their technology and made a holocron, but he saw through their ploy and rebelled against them. It can only be assumed that the Jedi also learned the secrets of the holocron by Rakatan example, possibly by studying mysterious artifacts left behind by the Infinite Empire. 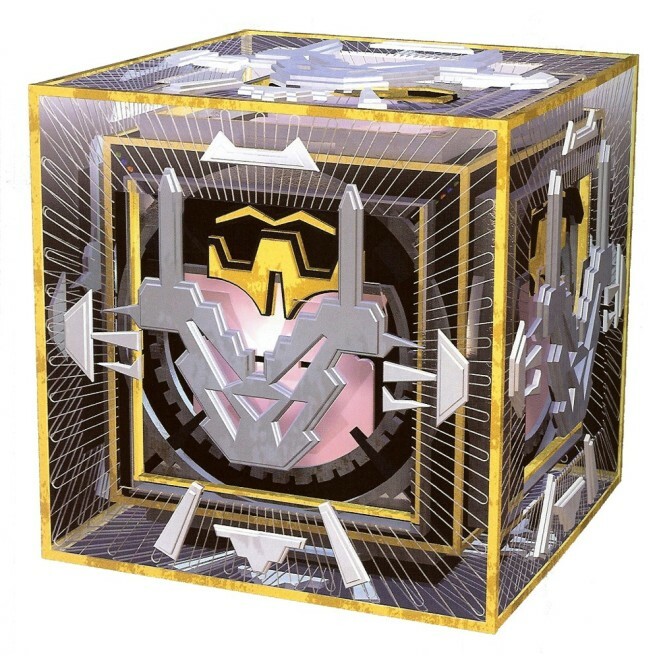 The holocron was able to capture the appearance and cognitive networks of the holocron’s owner, and transform this into a three-dimensional hologram. This gatekeeper acted as a guide through the holocron’s store of information, as a search and recovery engine with a more personal touch. These gatekeepers could relate stories from the holocron’s archives to events in the life of the one who activated the holocron. Jedi gatekeepers could sense the ability and level of a Jedi, and offer or restrict information accordingly — so that Padawans were not shown information too advanced and dangerous for their basic stage. However, Sith holocrons usually allowed the activator unlimited access to its entire dark side repository. The holocron image of Bodo Baas appears before Leia. The technology to make them was nearly lost after the Great Jedi Purge. Surviving holocrons contained information including Jedi techniques, blueprints of ancient starships, and historical information about the universe; as a result, they were quite valuable. Usually, only Force-sensitive users could access a holocron, though it is known that Bastila Shan‘s father also made one, which he used as a journal. Additionally, Data holocrons were a type of holocron that did not require Force sensitivity to access. The process by which holocrons were created was a very difficult one. In the days of the old Sith Empire, holocrons were prevalent among the Dark Lords just as Jedi holocrons were among Jedi Masters. Many rare materials had to be gathered, and much meditating on the will of the dark side was necessary to focus the Sith Lord’s power. By the time of the Great Jedi Purge, nearly all records containing information regarding the creation of holocrons was thought to be lost. But in the centuries before, the knowledge was apparently still available, should one happen to find it. Darth Bane was one such individual. Bane had tried unsuccessfully for years to store his own essence within a holocron, but when his apprentice presented him with the possibility of finding the secrets on Tython, he set out immediately for that world. On the planet Tython he acquired the holocron of an ancient Dark Lord of the Sith, the Shi’ido changeling named Belia Darzu. Darzu was very knowledgeable in the construction of holocrons, and recorded within the lattices of her own holocron, Darzu explained in depth the required steps one must take to successfully construct the pyramidal Sith holocron. As the Shi’ido form of Belia Darzu explained, the process can take months to finally perfect, though sometimes a holocron could be created within the short span of a few weeks. Each was unique to its creator; one who sought to fashion their own Sith holocron could not use another as the blueprint by which they followed to make their own personal holocron. The inner components were composed of intertwined filaments and strands, forming a crystal matrix that must be fine tuned to prevent device failure. Rare crystal was used in the workings and tunings of the intricate network that would store potentially infinite data. 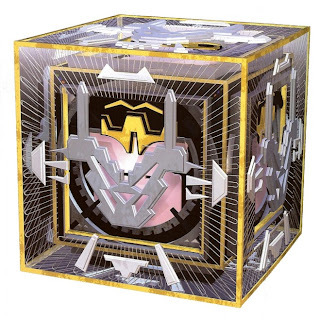 Each holocron matrix had to meet perilous specifications, usually requiring thousands of precise alterations and adjustments on a subatomic level. Only through the power of the Force could one ensure that each crystalline strand was properly aligned. This article uses material from the “Holocron” article on the Star Wars wiki at Wikia and is licensed under the Creative Commons Attribution-Share Alike License.